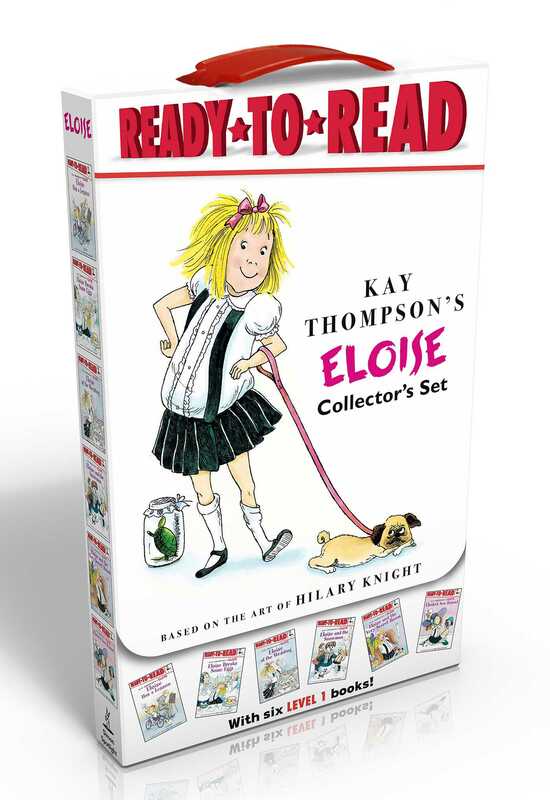 Just in time for her 60th anniversary, Eloise fans are sure to adore this Ready-to-Read boxed set that includes six beloved stories! Ever since Eloise burst onto the scene at the Plaza Hotel in 1955, fans young and old have been charmed by her many heartwarming and hilarious adventures. Now young readers can take home Eloise’s touching and time-honored adventures like never before! This beautiful carry-along boxed set is filled with six favorite Ready-to-Read tales including Eloise Breaks Some Eggs, Eloise Has a Lesson, Eloise at the Wedding, Eloise and the Very Secret Room, Eloise and the Snowman, and Eloise’s New Bonnet.